Having friends over for dinner is not an uncommon sight. But having friends visiting us from overseas is always an extra special moment. So instead of cooking my popular Dong Po Rou, I decided to cook something different for our friends. I have always wanted to cook this dish but somehow seem to keep putting it off. After many hours of toiling (Haha. You will need 3 hours for steaming, but the preparation is quite easy. ), your stomachs will be satisfied with a soft, tender, oozing with goodness pork and yam sandwich. My family and my friends loved it!!! The following day, my son told me he loved this dish very much (mind you, he is a fussy one!). Peel the skin off the taro. 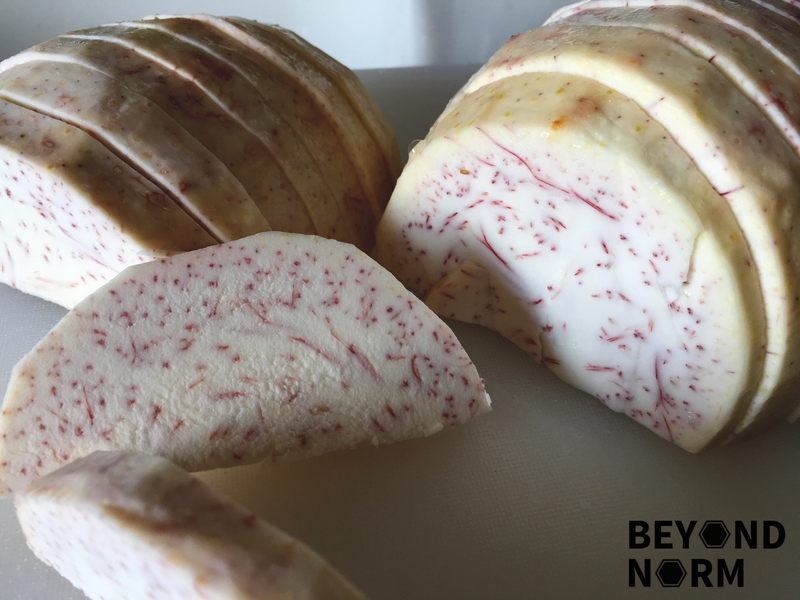 Cut the taro to about ½ inch thick, use the width and length of pork belly as a gauge when cutting the taro, both should have a similar size. 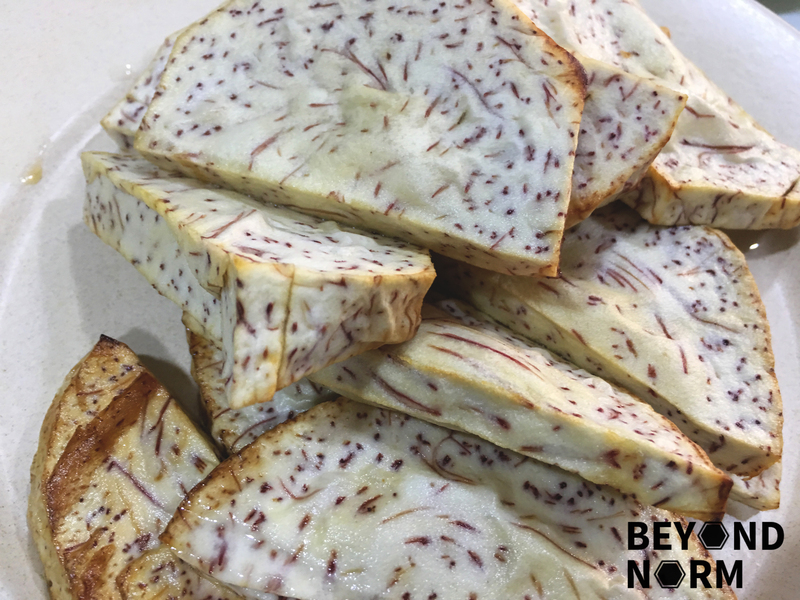 Fry taro until golden brown so that the taro will not be mushy after steaming. Set aside. Blanch pork in boiling water for 2-3 minutes to remove odour and impurities. 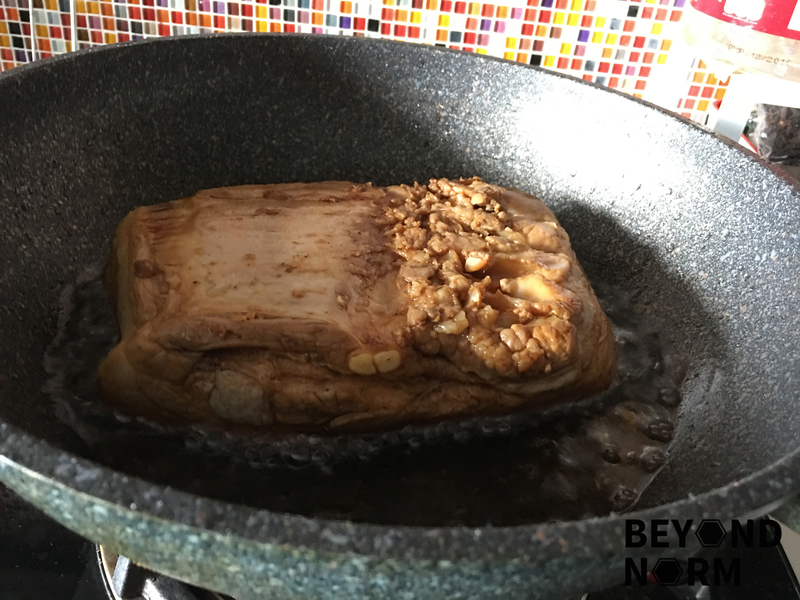 Remove from pork belly from the pot. Prick the skin with a fork for the seasoning to penetrate. 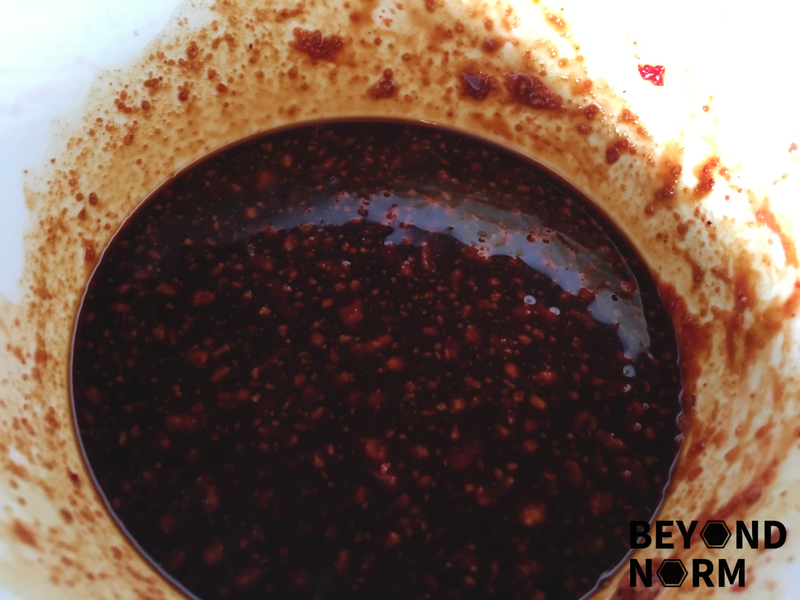 Dry meat with kitchen towel and rub some dark soy sauce and pepper on the skin. Set aside to let it dry. Heat up the oil, which you used above, in the wok. 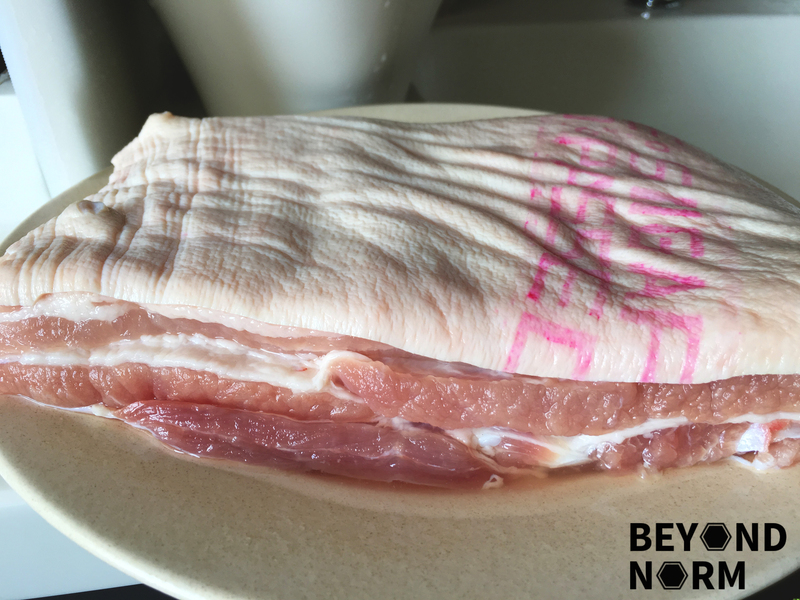 When the oil is ready, put the pork in (skin side down first) until lightly brown. Then turn over the meat and fry the other sides until lightly brown too. 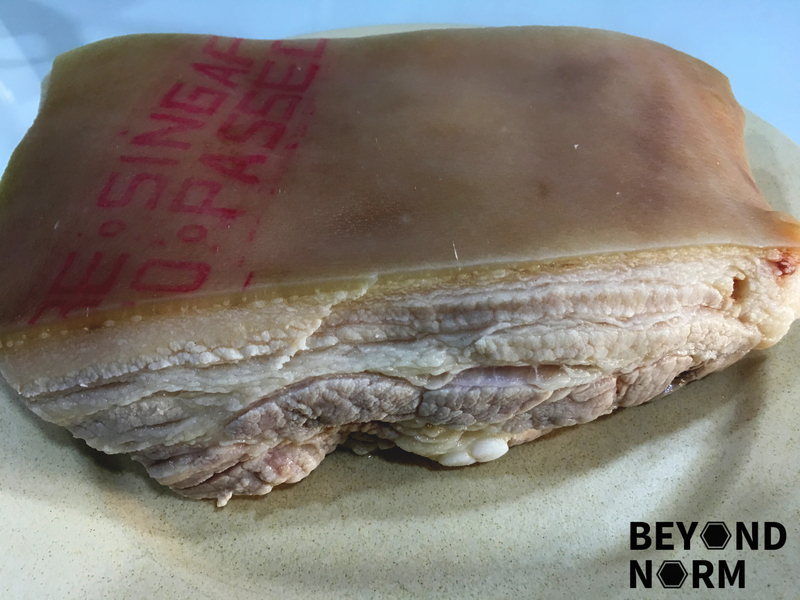 Remove and slice pork to about ½ inch thick. Marinade pork with the marinade ingredients for at least a couple of hours. Heat up about 3 tablespoons of oil in a wok. Add in the chopped garlic and shallots. Sauté till fragrant. Add in mashed red fermented beancurd, seasoning, marinade water from pork and water and bring to a boil. Taste sauce and adjust accordingly if required. The sauce should taste stronger than normal as it would get diluted once it is braised together with the rest of the ingredients. If you prefer a thicker sauce add some cornstarch. Arrange the pork belly (skin side down) and alternate with yam in a bowl/tray. Pour in sauce which should fill up to ½ of the bowl/tray. Finally cover with aluminium foil. Bring water to boil in the wok/steamer. Place the prepared dish of pork belly and taro in the wok/steamer. Steam for about 3 hours in the lowest heat or until the pork belly becomes really tender. Next, using a pair of tongs, I gently transferred a piece of pork belly together with a piece of yam and invert them on a serving tray then poured the sauce over them. Let it stand for 10 to 15 minutes. If you are skilful enough you may place a bigger serving tray and invert the pork belly quickly so that the sauce is intact. Garnish with some spring onions and cilantro and serve with rice. Do always keep an eye to ensure that your steamer doesn’t run out of water in the process. The longer you steam, the more tender the pork will be. Thank you for sharing this recipe. Will try it out over weekend. Can also vary with sweet n salted veg (mui choy). Your kau yoke with yam is simply delicious. I have tried some others but so so only. I made 3 medium size bowls of this dish and kept 2 for dinners over the next couple of days. Thank you very much for sharing your authentic Hakka recipe. My late mother was Hakka and used to make this while I was young. I only tried it out a couple of times but that was a long time ago. I’ve been wanting to cook it again but couldn’t remember what was the actual recipe as it was not written down. Your recipe seems to replicate my mother’s except for the five spice and taucheo which she omitted. I remember the yam being fried too but not the meat. Anyway, I think I will try it out soon. Hi Anita, glad that you found our recipe. 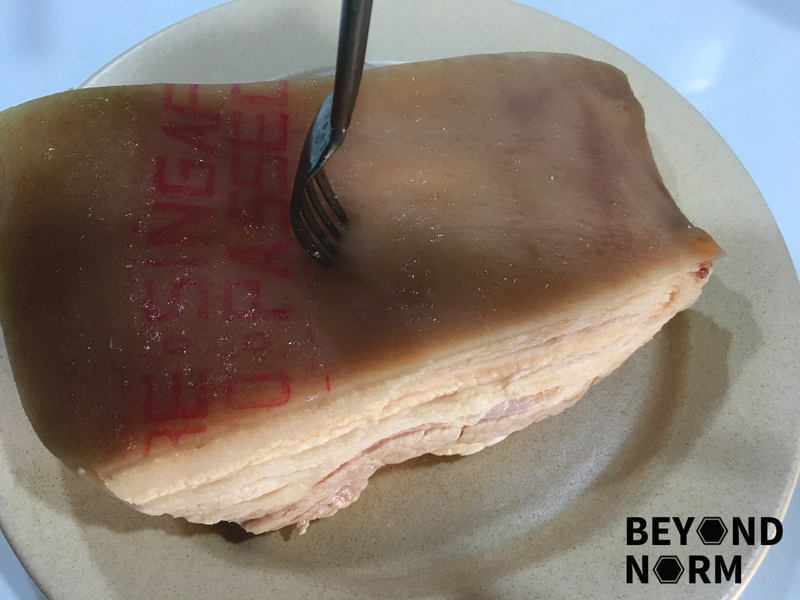 We’ll love to know if our recipe replicates your late mother’s, so feel free to share your end product with us here or on the visitor section of our Facebook Page: http://www.facebook.com/BeyondNormBlog 🙂 Happy cooking! Hi Josephine, this recipe simply delicious, our family enjoyed it very much! Thank you for sharing!